While downloading and sharing music as creative ideas spread through the world, the music industry got scared to death. Instead of adaptation to the development - they unloaded their guns and took legal action against pirates like Napster and Kazaa. Our belief is that fans will find other ways to support their favourite bands and artists. Internet opens up for the foundation of new relations for fans and music- and entertainment related products and services. We, as merchants, want to be apart of that. 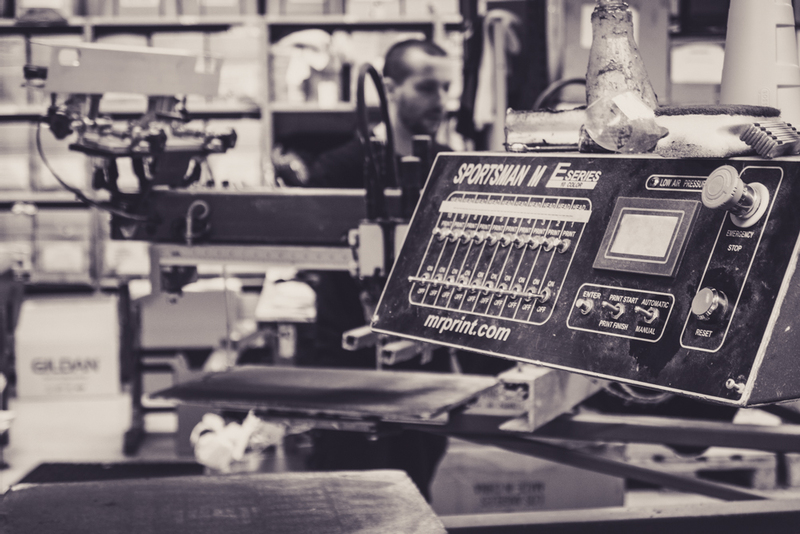 We help you produce suitable products and process them with screen printing, embroidery or transfer. Our main brands are Gildan, Neutral and Label Free. For enquiries contact us below. We help you coordinate shipments during tour, to end customer or retail. We use FedEx and Postnord. We handle your entire e-commerce fulfilment, from product photography, warehousing, payment and order handling to customer service. Either via our platform or your existing e-commerce system. We collaborate with FedEx and Postnord and deliver globally.